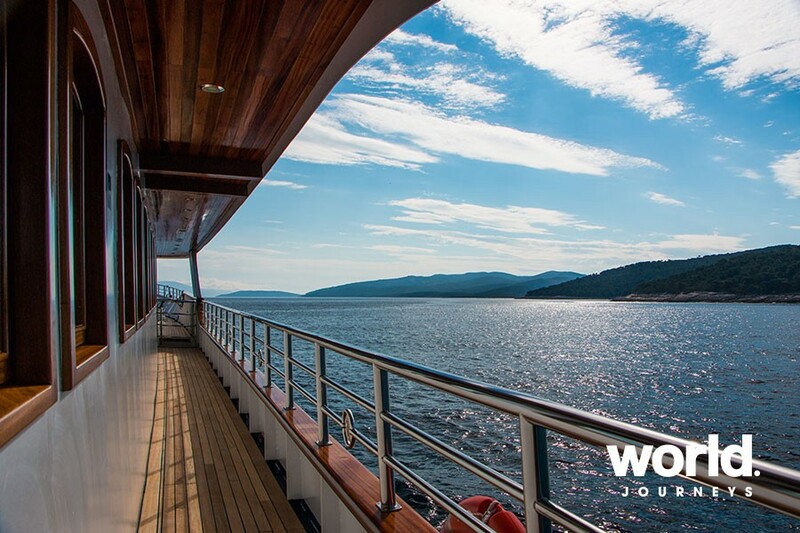 Cruise the crystal waters of the Adriatic, exploring Croatia's beautiful islands while relaxing on your deluxe ship's sun deck, offering sun-shade cover, loungers and a jacuzzi. 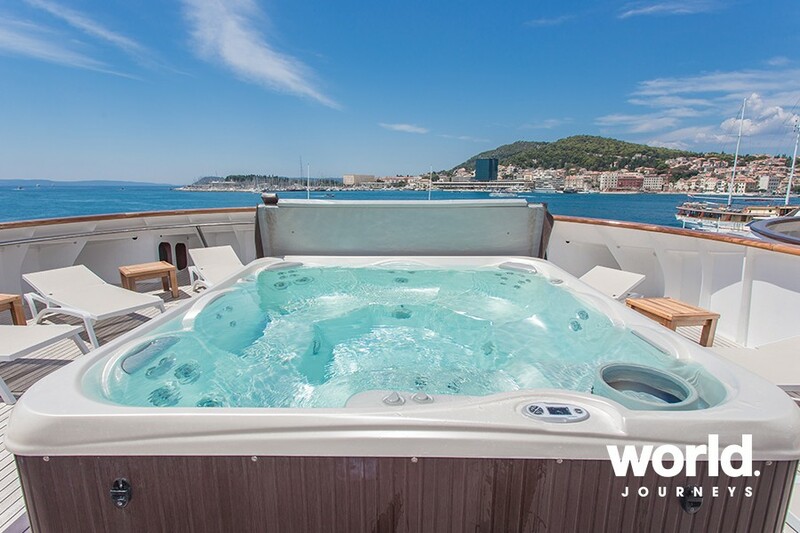 Your ship A modern, state-of-the-art, deluxe ship with a spacious sun deck that includes a jacuzzi and sun beds to enjoy the wonderful Adriatic scenery. 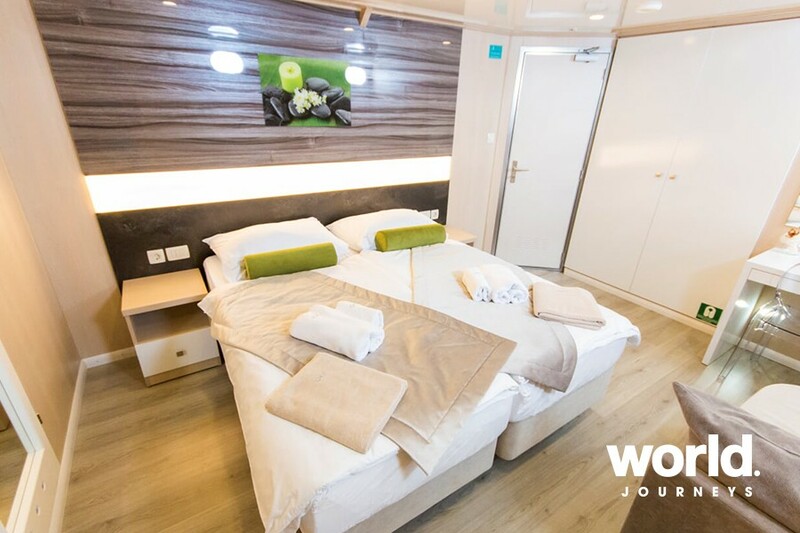 Lavishly designed cabins are air-conditioned with an en-suite and have either double or twin beds, a safety deposit box, bathroom toiletries, a hair dryer, cupboard, and a wardrobe cabinet. Lower deck cabins have a porthole, while upper deck cabins have a window. 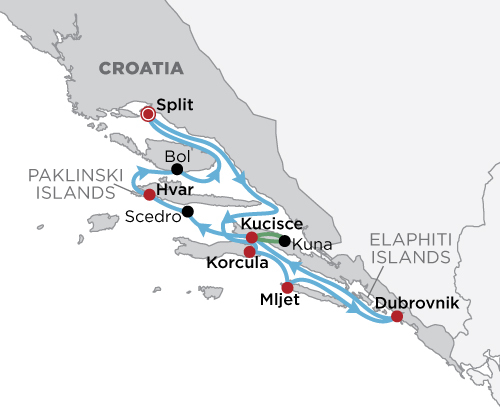 Day 1: Split Transfer from Split airport to Split harbour where the vessel will be docked. 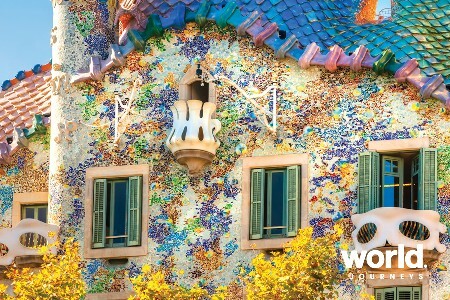 After check-in, enjoy the guided tour of the city. Split is a historic town under UNESCO protection and as it is a part of the world heritage. One will find an abundance of Roman architecture - of special interest is the magnificent Diocletian palace, once inhabited by the Roman emperor. After the tour of Split, return to the ship for a welcome reception and cocktail to enjoy the meet and greet party on board. Overnight in Split. Day 2: Split - Korcula Early morning departure towards the Korcula island best known as the birthplace of Marco Polo. Stop for lunch in one of the secluded bays en route. Early afternoon arrival in Korcula followed by a guided walking tour of this enchanting town with fortified walls. On this Island you can find more legends, tales and monuments than anywhere else while you wander along the herringbone pattern streets. Korcula has an abundant choice of restaurants where you can continue your gourmet experience and there are many bars and clubs for those looking for evening entertainment. Overnight in Korcula. Day 3: Korcula - Mljet/Dubrovnik Next morning we head further south to the Island of Mljet. 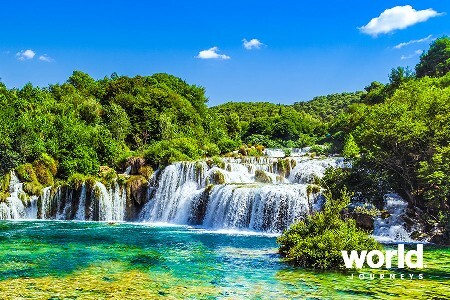 Join the cruise manager for a stroll to the famous salt lakes in the Mljet National Park and enjoy the boat ride to the St Mary Isle, where you will visit an ancient Benedictine monastery, an old abbey and a Church dating from the 12th Century. Alternatively, you can rent kayaks, bicycles, scooters or convertible cars to roam around the National Park or island on your own. Return to the ship for lunch followed by departure towards Dubrovnik. 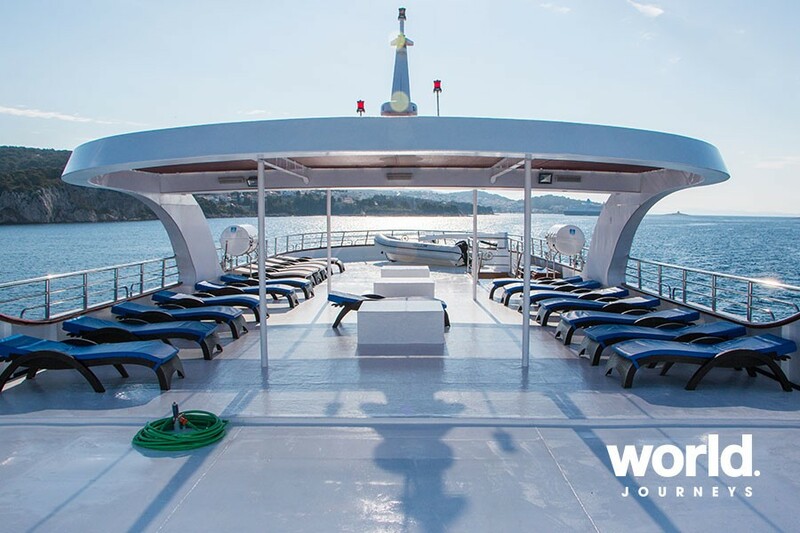 Late afternoon arrival in Dubrovnik, but before we tie the ropes at Gruz harbour the captain will take you for an evening cruise alongside the old city walls while a buffet dinner is served on deck. Enjoy the spectacular views of this magnificent old town. Overnight in Dubrovnik. Day 4: Dubrovnik After breakfast transfer to the old town for the guided walking tour to enjoy this magical town. 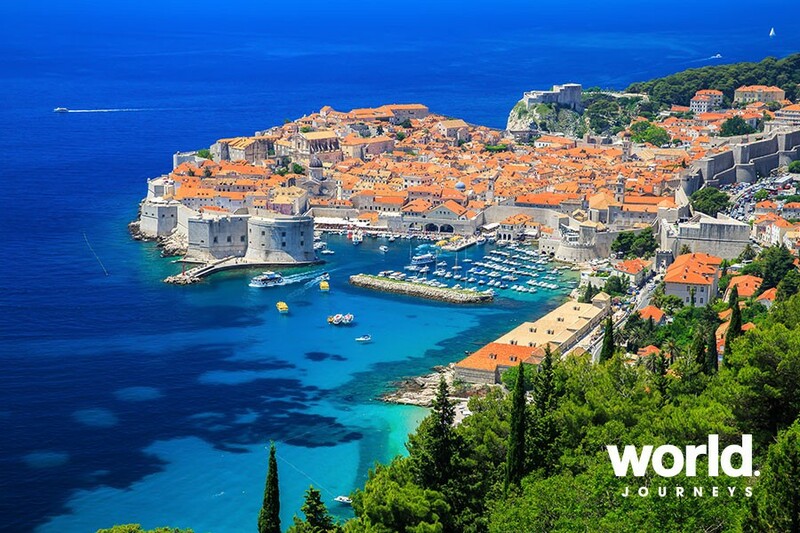 You will have the opportunity to take best pictures of the town of Dubrovnik as we take the cable car from the Old Town to Srd mountain to enjoy scenic views of the Walls and Elaphiti Islands. Afternoon at leisure to find idyllic spots for lunch and dinner. 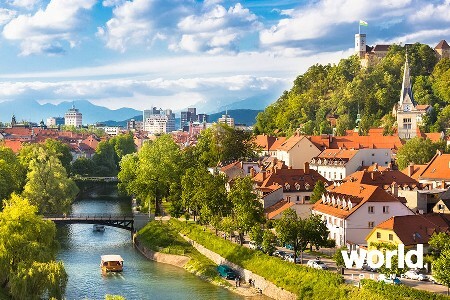 For those of you with more enthusiasm, we recommend to walk the famous walls 1,940 m long and take a stroll along the walking street "STRADUN" - both a street and a square, a promenade inside the city walls. Overnight in Dubrovnik. Day 5: Dubrovnik - Peljesac Peninsula Morning departure from this magnificent town and continue our cruise towards the little seaside village of Kucisce (or similar) on the Peljesac peninsula, well known for its excellent wine. Before lunch a short stop at one of the Elaphiti Islands and afternoon arrival to Kucisce. Today we move away from the shore inland to explore the rural areas. Afternoon transfer to the village Kuna followed by a visit to a local farm you will indulge in a typical village party with Croatian delicacies, an all-inclusive dinner with local dishes made from their own produce. Late transfer back to the ship. Overnight in Kucisce. Day 6: Peljesac Peninsula - Hvar Morning departure towards the jet-set island Hvar. Lunch stop on the small Island of Scedro followed by a swim stop at the Pakleni Islands. Arrival to Hvar in the afternoon. Hvar is the longest Island in the Adriatic and one of the sunniest; known for lavish lavender fields and breathtaking beauty. Upon arrival there will be a short presentation of lavender products followed by a tour of the town. 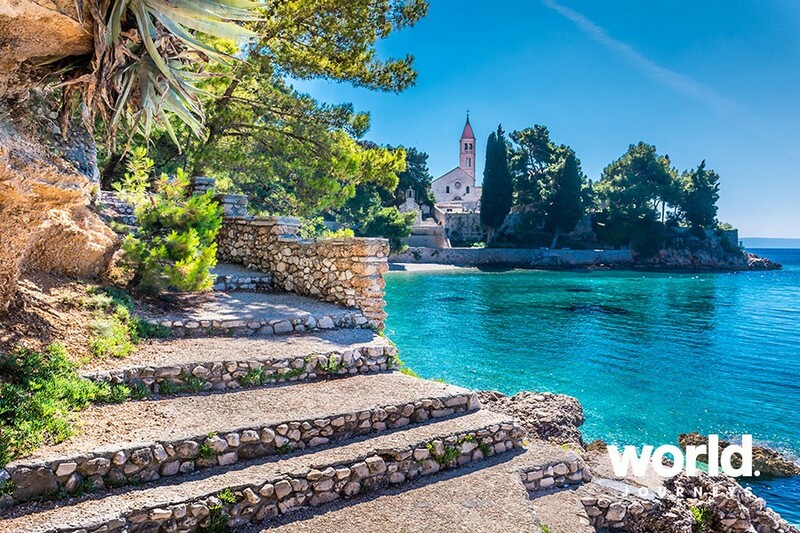 One can find many historical landmarks in Hvar: the Renaissance cathedral with its original tower, and the oldest community theatre in Europe which was founded in 1612. Hike up to the town fort overlooking the harbour to get some lovely scenic views of your ship and the Pakleni islands. In the evening Hvar offers an abundance of entertainment - many restaurants, bars and cafes are open long into the night. Overnight in Hvar. Day 7: Hvar - Bol/Milna Our final stop will be the Island of Brac and picturesque town of Bol. Walk along the promenade or swim at one of the most famous beaches in Dalmatia - Zlatni Rat (the Golden cape - known for its gravel promontory shifts from side to side as the wind and waves constantly change its shape). Bol is a typical fishermen's town turned into a popular tourist destination. 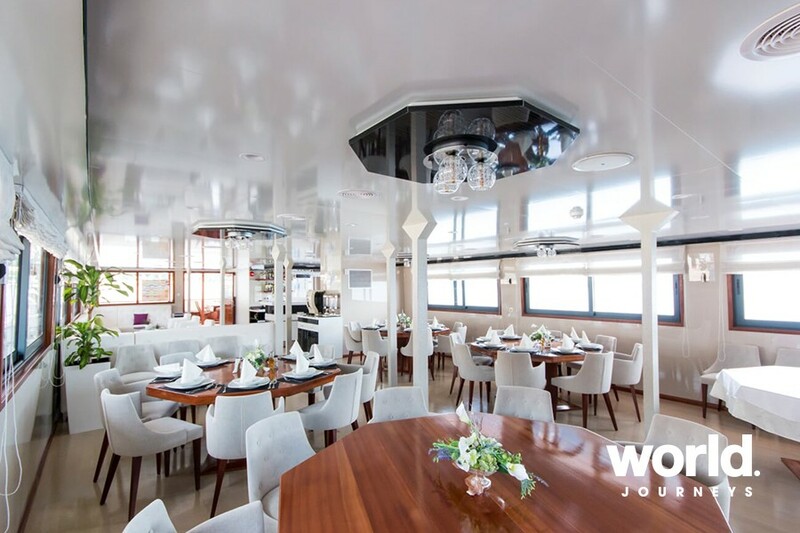 After lunch on board time at leisure until afternoon wine tasting in the facilities of the oldest Dalmatia wine cooperative (dating 1903) followed by the Captain's farewell dinner with entertainment on board. Overnight in Bol or nearby Milna. Day 8: Bol - Split Early morning departure for Split and on arrival it is time to say goodbye to the crew and all your new friends! Check out by 9.00 am and a private transfer to Split airport. Lower deck and single pricing on request. 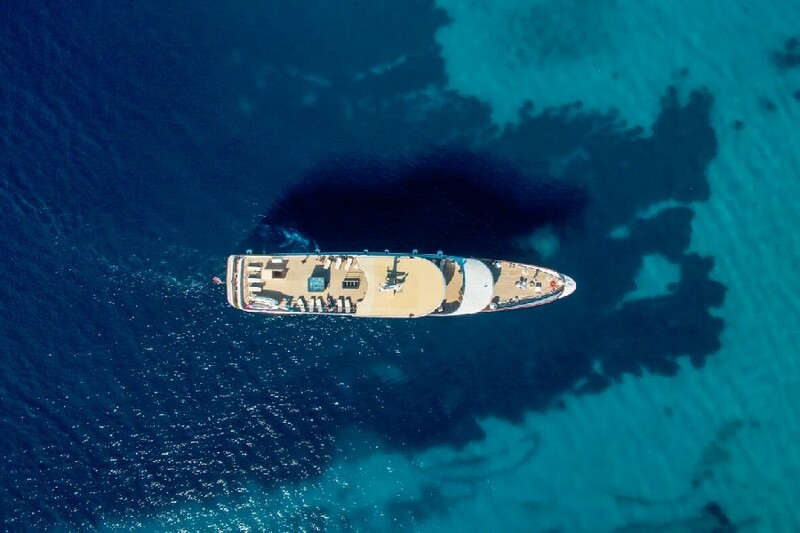 Itineraries are subject to change at the Captain's discretion / weather conditions.